When you're a shoeaholic, you know your priority number one is to protect all your shoes no matter what. I believe in a good ol' footwear investment (you can ask my husband about my shoe closet) and like any investment, you need to protect it the right way, right? this protection includes surviving the intense and extreme seasons we experience throughout the year and carrying your shoes without the right accessories most people have no idea about. 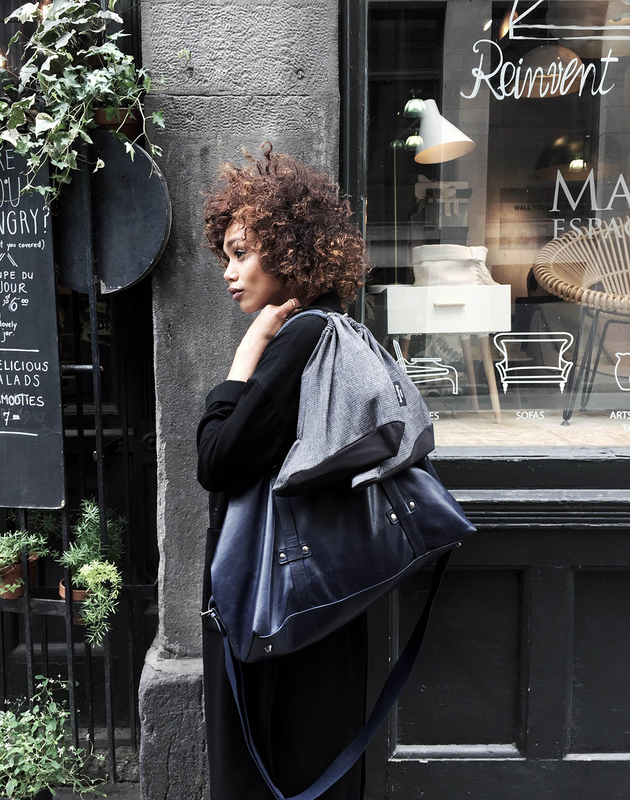 I recently discovered and loved Shoe Shoe Bag, a local Montreal company behind a line of shoe bags you'll want to have in your closet immediately. 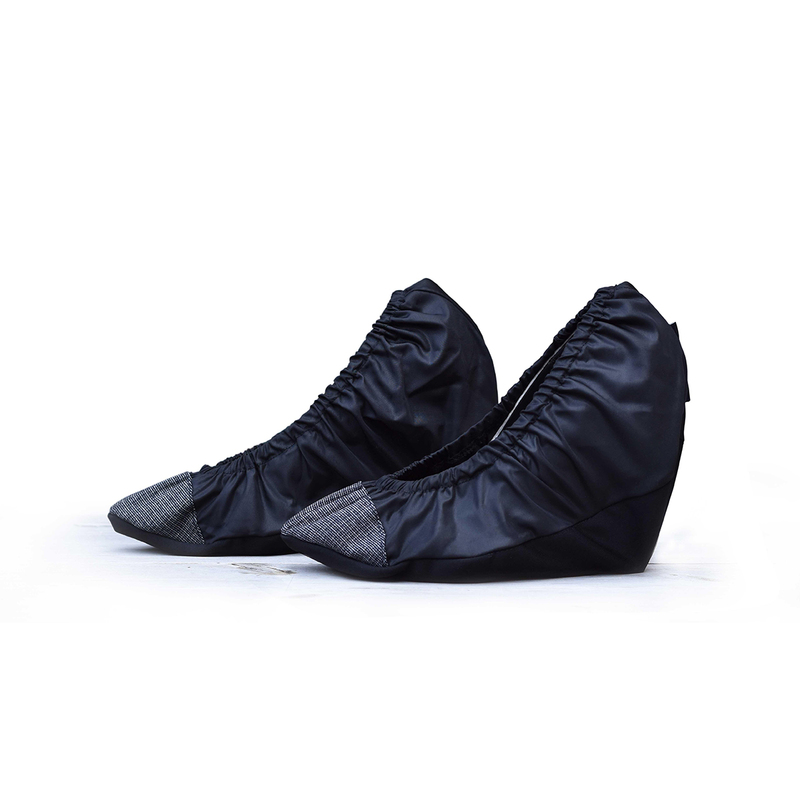 Their bags are 100% waterproof and designed to fit high-heels, flats and ankle high shoes, what else could we need? Lucky enough, I had the opportunity to meet them and know all the details about their story, how they started and some tips for new entrepreneurs in the city on Local Love. This idea came to me spontaneously, because I needed it. When I arrived, from Paris, in Montreal, almost 4 years ago, I never knew any snowy winter. Because of my snow boots, and all my outings, I always ended with shoes in my handbag… packed in plastic bags, and I wasn’t happy with it. As I always loved making my own accessories, I began designing shoe bags. I wanted them compact, efficient, and nice looking. Gradually, I have concluded that it’s much easier to put 2 small shoe volumes than one big shoe bag, into a hand bag, or in some luggage. What made you decide to open your business and why a shoe shoe bag? I soon realized that I wasn’t the only one bothered by carrying my shoes every day. And, discovering my samples, my friends told me, « Oh ! I never thought a shoe bag could be good-looking ! » So I decided to start a business with my concept. I needed to create something on my own, and above all, my own way. I took a chance. It took me less than 5 seconds to find the name ShoeShoeBags ! « ShoeShoe » sounds like « chouchou » in French, which means « my favorite ». So… a shoe bag naturally becomes a « shoeshoe » bag. At the end, it makes sense, because we have twice the word « shoe », and we sell bags per 2. 1 for each shoe! I would have so many things to say ! Montreal is a wonderful place to start a business. It’s a vibrant city, and you’ll find help and encouragement. You have to jump, and make as many contacts as possible. The challenge is not to lose sight of who you are, what your vision is, and what your values are. Thanks for showing us lovely and stylish business ideas are completely possible to come to life! Such a neat idea!!! I need to get in on this.